Growing up in Iowa my dad had a wood burning stove that heated our house every winter. I never understood the need for slippers and house robes until I moved into a house heated by a furnace. The difference is night and day! I've been trying to convince Scotty to put a little wood burner in our mudroom but he says it's too much work. Which he's probably right, and I'm not completely convinced I'm ready to add lumber jack duties to my list either. But I still wanted to add some warmth to our home, so he agreed to put in a faux fireplace. I began to search for one to buy and was not impressed at all. If there was one word to describe them, it would be faux, which means fake. 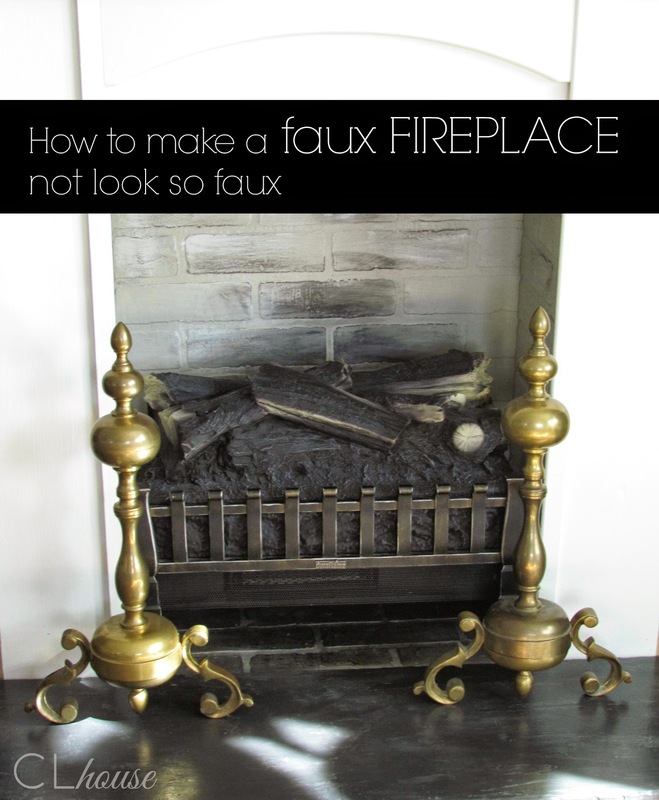 So I began researching DIY faux fireplaces and I came across this one This blog has inspiration galore to keep things simple and authentic. 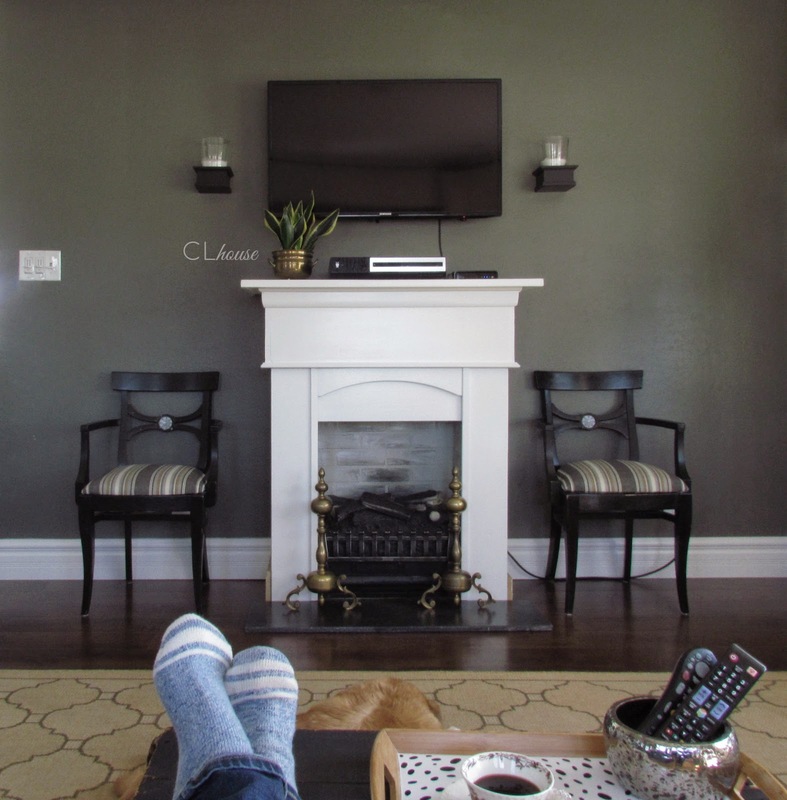 I fell in love with the fireplace they built for their guest house, and thought it would be perfect for us.... 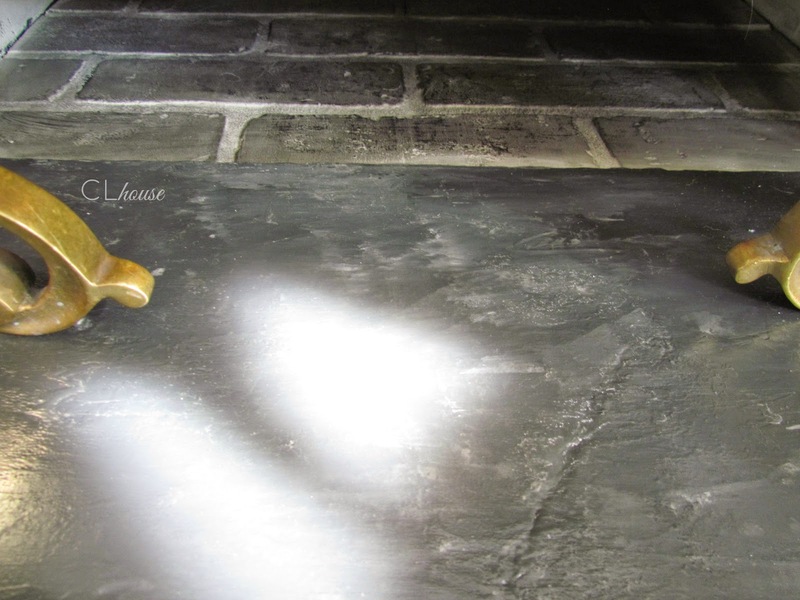 If you need a breath of fresh country air check out.... A Country Farm House . 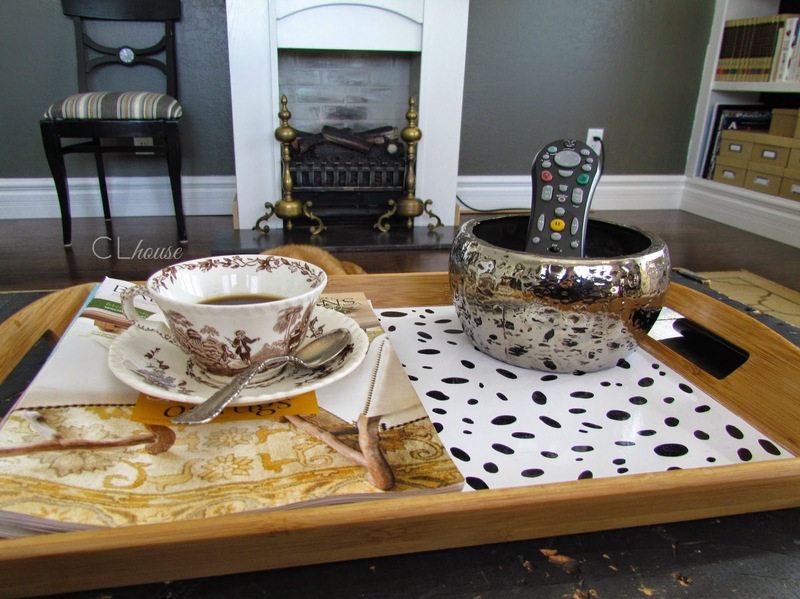 If you missed how I made a dresser into a mantel, you can catch up here. In finishing the fireplace I knew I wanted brick for the inside, but didn't necessarily want to add brick laying to my skills. So I went to the Home Depot and bought a big sheet of red brick paneling. I cut it to size and nailed it in. The electric flame looked best against a white background compared to charcoal. So I painted the brick with some flat paint that gave it an off white/light gray base. 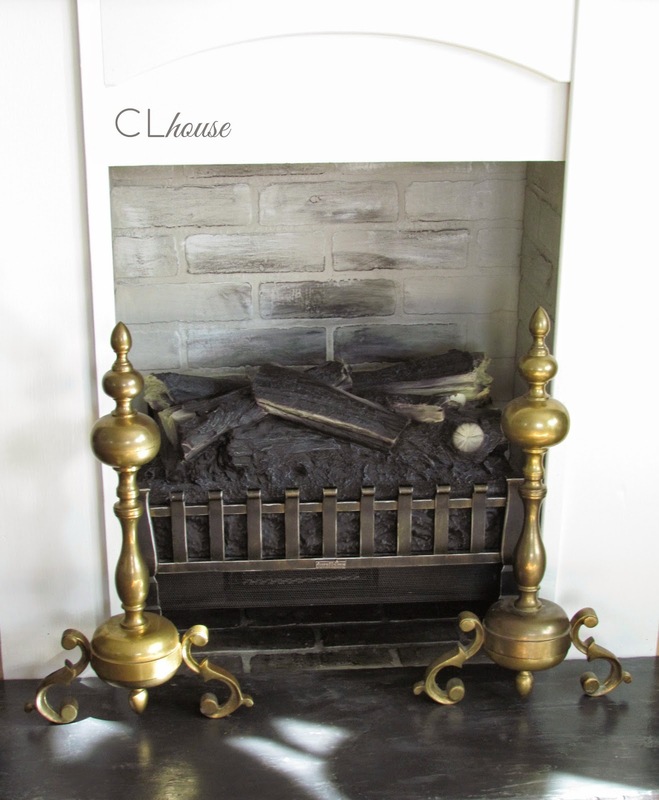 I liked it, but thought it was a little too clean cut for a real used fireplace. So in my quest to make it look as authentic as can be I grabbed some black chalk from my art supplies. Then I basically scribbled on the brick where I wanted it to be black and took a dry cloth and blended it in. I made the brick floor especially dirty, since that is where all the ashes would fall. 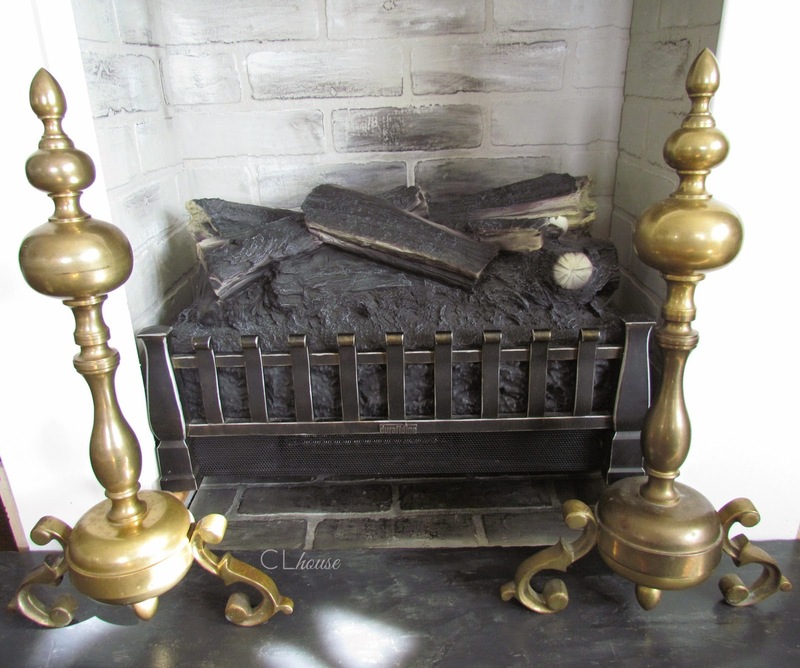 Researching so many fireplaces I began to love brass andirons. Amazon had some for around $200. Then I stopped into the Habitat for Humanity and ran into these. My mouth dropped when I saw the 20 dollar price tag. I thought surely 20 a piece. Nope, $20 for all, and it came with a huge fireplace screen fit for a castle. They add just the right touch to my fireplace and gave it a little more depth. My one big expense was the heating insert. I went with an electric Duraflame insert. I bought mine on amazon for $80.00. I think the flame looks really good for an electric insert. I looked at a lot of Duraflame youtube videos before I bought it, and was pretty impressed. It also does a nice job heating our space too. The next thing to tackle was the hearth. I thought about tiling it. 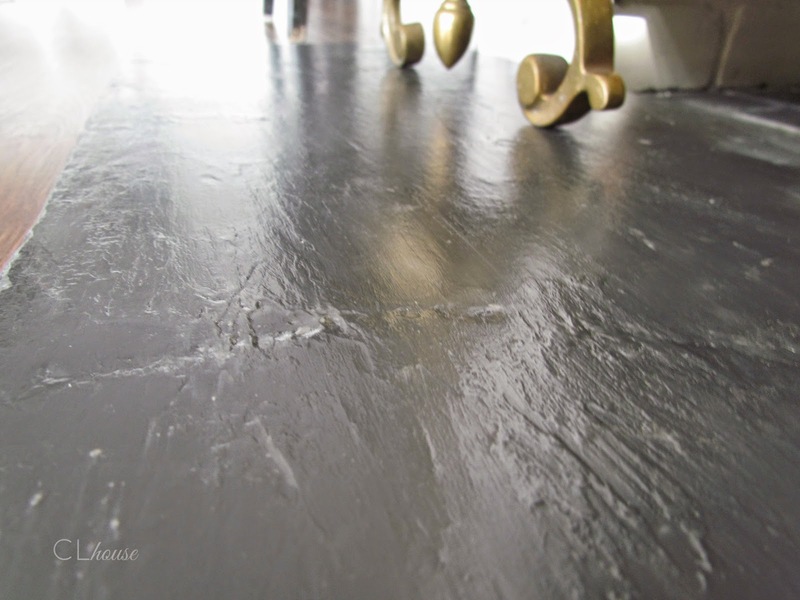 Then I thought about making a concrete slab to lay on the hardwood floor or buying a piece stone or granite. 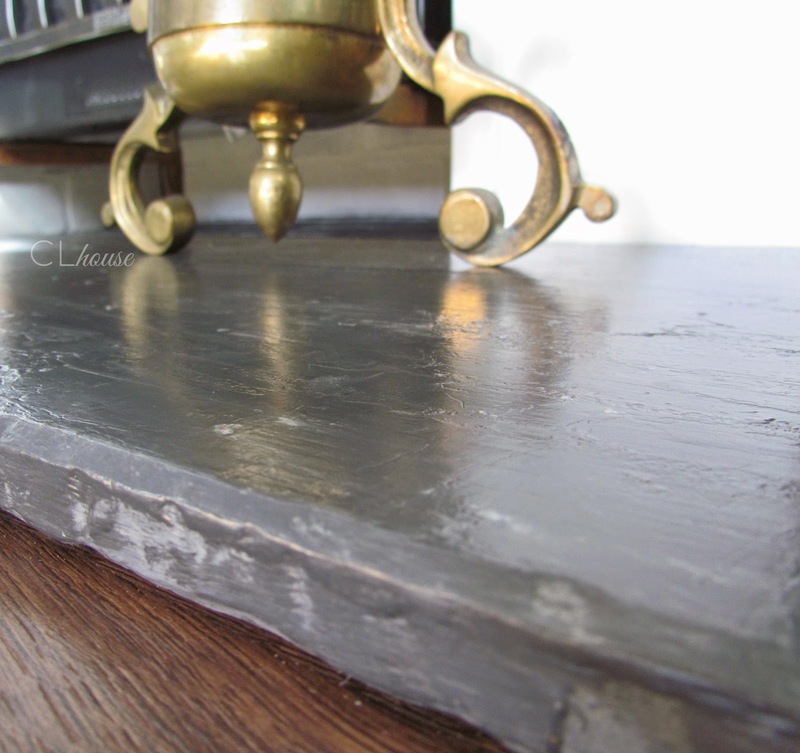 Then the thrifty side of me thought, why not make a piece of wood look like stone. After I got the look I wanted, I sprayed it with mate finish poly. This seals everything in. I think I might have gone a bit overboard spraying it because it turned out pretty glossy. Maybe I can wipe it with some paint thinner to knock the sheen one day....but for now I'm not minding it. My bedroom makeover has begun. I used a dark green color called black bean. It's funny how paint colors behave, never would have thought this color would have pulled green tones by reading the name. I will probably be hopping back and forth from our room to the living room. I have one more chair to recover, a buffet to refinish and blinds to purchase in our living room. I feel a bit obligated to those projects since I have already invested into them. 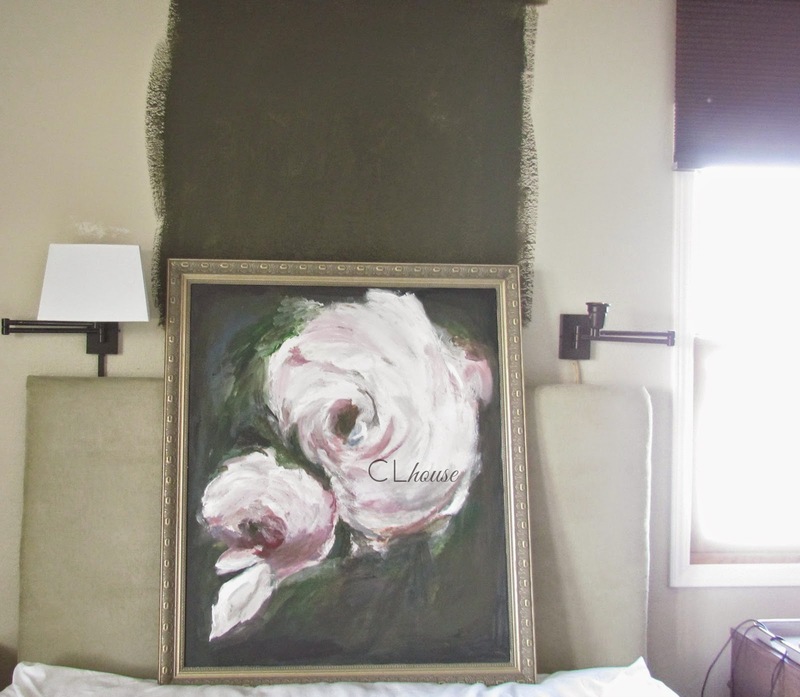 So for now my room will just have to be happy with new paint and a new painting. Before and after pictures to come.